Class I railroads. Leasing companies. Short line railroads. Tourist operations. FMW offers significant experience in hands on diesel-electric locomotive diagnostics, repair, and maintenance. Keeping locomotives in top condition is key to ensuring reliability of service and maintaining reasonable operating expenses. The following headings provide a bit more detail on the expert diesel locomotive services FMW provides its clients. Whether you are looking to acquire or lease a used diesel-electric locomotive, or you are interested in undertaking an internal audit of your own fleet, FMW can provide prompt, detailed, and accurate inspection services. 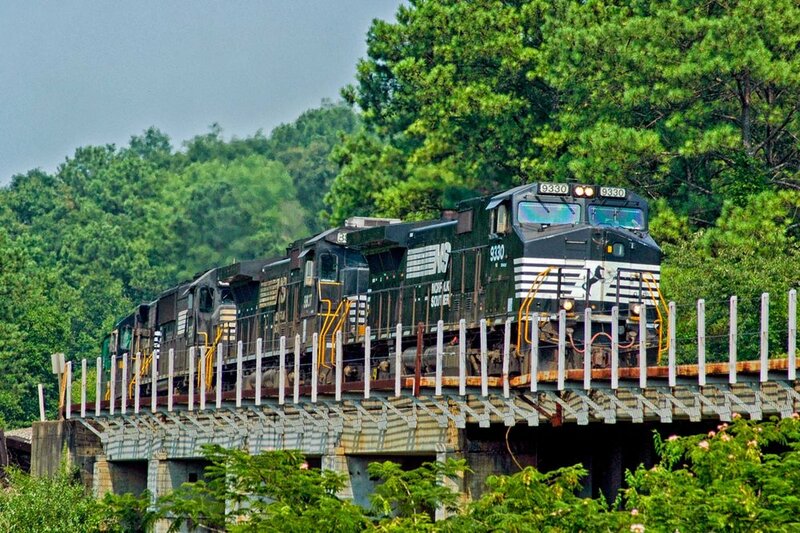 Our expert diesel mechanics are experienced in EMD and GE locomotives of all ages and models. Other primary and secondary locomotive systems. Sometimes locomotives act up. They are the work horses of your enterprise, and even with the best maintenance, things can go awry. FMW is available to provide independent, objective on-site diagnostic services to railroads, leasing companies, short lines, and tourist operations. EMD, GE, old or new, we can handle it! GE Industrial Locomotives (44 - 110 Ton). Specialty services are our expertise, and we want to find a way to provide you solutions to your mechanical needs. We are happy to work alongside your existing shop forces to troubleshoot issues and/or work to remedy concerns already identified. We are also prepared to undertake standalone repair services using our own forces, providing for you peace of mind regarding the return to service of your motive power assets. Want to learn more?